That's bad news to me because I always liked the little waterbug on ice. Did he quit quit or is he concentrating on studies or? I.e. Could we see him again in the future? She just happened to mention it to me in the middle of class this morning, so I didn't get a chance to ask too many questions. Something like he is just sick of everything, whatever that means, but it didn't have anything to do with the limited playing time. Maybe he's just burned out. I'm trying to remember....I think she said that Blais told Ryan he could come back and play if he ever changes his mind?? Sorry, it was a late night last night and I was still feeling the effects of closing down the bar. It's actually good to hear from you again. I was wondering where you got lost to over the summer. I would like to see Connelly back some day. I know things hadn't probably gone his way to this point but I was always pulling for him and I'd like to see him turn it on again on the ice. BTW, don't spread that rumor about Blais telling him he can come back and play. It would ruin the fantasies of certain gopher fans who would like to believe Blais beheads his players when he tires of them. Heh, I retracted from modern technology over the summer. I did a pediatric fieldwork in Fargo-Moorhead, and the people I stayed with had no cable or internet. I've always liked watching Connelly too. He was fast and showed flashes of playmaking skills. I was rather surprised to hear he quit. But I'll quit fanning the flames about Blais being a good guy. Good for Jason and Chris! Someone reported a few days ago (believe it was forecheck) that she heard via Ryan Connelly's girlfriend that he's left the program. Any official word on this yet &, if so, is Blais planning on filling this vacancy with an ultra late recruit? I've uploaded pictures from Day 1 (on ice) of Devils training camp - the third group which included the 3 starts on http://devsrule.com/2003_09/12/2003_09_12_P19.html and runs through page 27. I should get Day 2 pictures up tomorrow night and Day 3 before the weekend. Thanks for the updates, Melissa. As always, great photos. Hale rooming with two Gophers. Ouch Thanks for the article and pics. Good stuff. 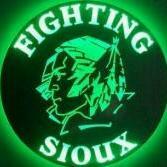 Rookie defenseman David Hale didn't have a chance to hone his fighting skills at the University of North Dakota because the NCAA prohibits fighting, but he showed he can handle himself during a scrap with agitator Cam Janssen in Tuesday's scrimmage. Although Janssen compiled nearly 500 penalty minutes in his last two seasons in junior, Hale got the better of him, dropping him with a left hand to the head. "He's a high-skilled guy, and fighting a guy that does it for a living - and Janssen, that's what he does for a living in junior hockey - he's a tough guy," Burns said. "For a guy like Hale, that doesn't happen in college |hockey."" Day 2 pics are up now and I should have Day 3 up sometime tonight. No home pre-season game until Wednesday. Although Janssen compiled nearly 500 penalty minutes in his last two seasons in junior, Hale got the better of him, dropping him with a left hand to the head. Now he needs DeMarchi to start something. Would be interesting to see if he (Demarchi) hits anything from the front. He does sound scared. Bet nobody has been blasted from behind so far; probably won't happen. Of the three sounds like Hale would be the front runner if not for his illness. Hope he stays healthy all season and they give him a chance. Good to see Hale can handle himself with some of the best of them. Still remember last year when he beat the snot out of that poor little freshman forward from Mankato. Was the turning point in the game and the spark the team needed to come back and earn a tie after being down by three goals. DeMarchi won't start anything. He knows he can't hit anyone from behind after the whistle. Isn't college most all those guys would hand him his a$$. No Mr. DeMarchi's "physical game" is about over. Apparently they didn't see the fight where Hale worked Number 23 from MSU Mankato like a clown. Since Siembida is now considered a former player, does anyone know what happened to him? I think he's too old for juniors so did he transfer to a DII or DIII college? Did he quit hockey altogether? Here is a link to the wild website that has about a minute and half long interview with Travis Roche about training camp and his thoughts on how he is playing. Recently on ESPN.com, they reported in the transactions page that Schneekloth and Skaparud were reassigned. That's all they said so I am assuming they were reassigned back to their ECHL teams. Though, I could be mistaken. They were not released or cut, so does that mean that they report to their ECHL teams as a recruit of the Red Wings or does it mean that they just did good and were sent back? They were both reassigned to Grand Rapids of the AHL. They both have contracts with them. They could be still sent down to the ECHL after the AHL training camp, but I doubt Skarp will go down. He played at Grand Rapids all last year. The following is a link to an article in today's Pioneer Press regarding the retirement of Wild d-man, Chris McAlpine, and how that may impact Travis Roche as he tries to win a spot on the Wild roster. He was in a pitched battle for the lone job opening on the Minnesota blue line. His departure seemingly clears the way for Travis Roche to secure the position after his third training camp with the Wild. Would be nice to see Roche playing full-time for the Wild. With experience, he really has the ability to blossom into a fantastic player.